Mary Queen of Scots chronicles the notorious rivalry between Elizabeth I of England and Mary, Queen of Scotland, which culminated with the Scottish claimant to the English throne beheaded after being found to be implicated in a plot to kill Elizabeth. The cinematic production takes an invariably feminist view of history, portraying two strong-willed women with an innate love for each other stifled by the egos of men, the contention of religion and the uncomfortable thought of succession. The film does well to capture the intrigue of both royal courts with its petulant arguments, unfounded jealousy and a constant battle for influence between the monarch’s advisors, admirers, and foes. If there is one message to be taken from the film and applied to today’s landscape (*cough* Brexit *cough*) it is that power – or the prospect of it – that corrupts people. 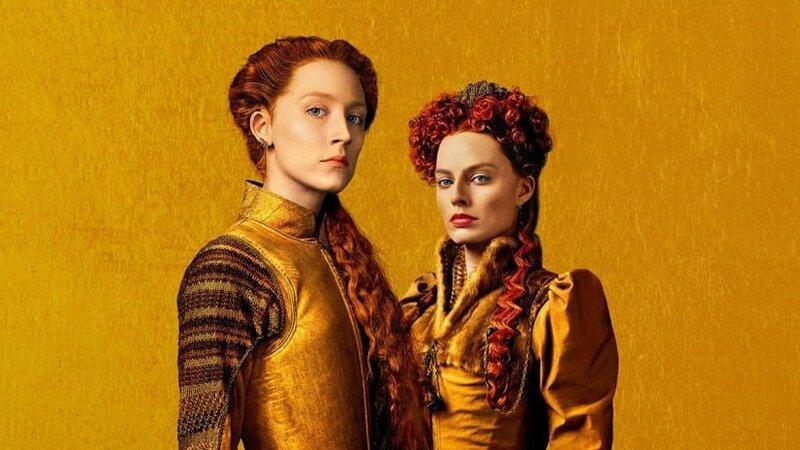 Mary Queen of Scots stars Saoirse Ronan as its title character, who is fierce enough to do her firebrand character justice, however Margot Robbie (playing Elizabeth) plays a version of Queen Elizabeth that, in trying to sing Mary’s graces, makes her out as a weak satellite Queen with far less charisma than she actually had. Whilst the screenplay is often hard to follow, that adds to the sense of intrigue around court and helps the audience to understand how easily John Knox (David Tennant) was able to incite such strong religious hatred towards Mary. The disconnect between the people and court fostered dissent amongst the commons while plots within court (which usually have something to do with succession, as in the case of Mary’s ill-tempered second husband, Lord Darnley) created an ungovernable land. The film climaxes with a clandestine meeting between the pair, with Mary dropping her ambitions for Elizabeth’s crown to seek her cousins help to regain her own. Begrudgingly, Elizabeth refuses but offers to guarantee her safety as long as Mary does not fraternise with her enemies. Mary is executed eighteen years later after her role in the Babington Plot. The film tells us that this decision pained Elizabeth.